This is not new territory for Fallin. Last year, she urged state lawmakers to get "smart on crime" by considering changes to sentencing policies to divert low-risk, non-violent drug offenders from prison and rely more on alternatives, such as drug courts and treatment. States like including Georgia, South Carolina, and Texas have implemented similar reforms, though some have gone much further than others, and seen success. Many of these success -- which include declines in crime rates, reductions in recidivism, and cost savings are outlined in a FreedomWorks publication, Federalism in Action: How Conservative States Got Smart on Crime. In May, facing one of the highest incarceration rates in the country, Fallin signed the Justice Safety Valve Act into law. This legislation, which easily passed both chambers of the Oklahoma Legislature, creates a "safety valve" exception to the state's costly mandatory minimum sentences. The exception would be applied to non-violent offenders who pose little risk to public safety. Fallin made it clear Monday that she wants to take the effort further. Realizing that lengthy sentences in violent prisons can lead non-violent offenders down a troubling path, she called on the Oklahoma Legislature to reduce mandatory minimums. "Oklahoma’s drug possession sentences haven’t deterred substance abuse and have filled our prisons to over capacity. These sentences, while well intentioned, tend to send some nonviolent offenders into prison for years and years, where they live alongside violent offenders whose bad influences can make nonviolent offenders worse," Fallin said in her State of the State address. "This session, I’m calling for lowering Oklahoma’s mandatory drug possession sentences." Fallin wants local district attorneys to have discretion over whether a first drug offense is filed as a misdemeanor, rather than be mandated by the state's out of date sentencing policies to charge an offender with a felony. 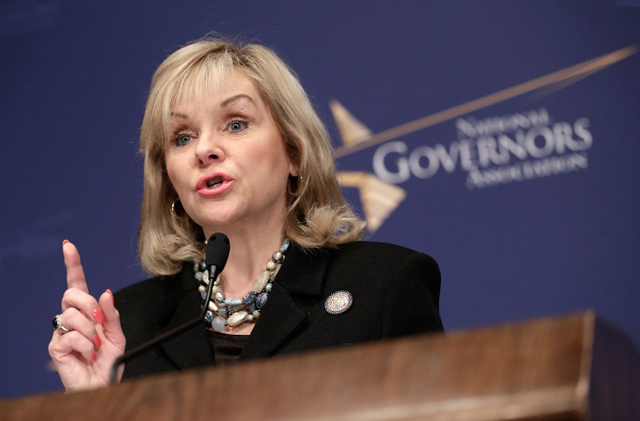 She laid out what the new felony sentences would look like, which, essentially, reforms Oklahoma's three-strikes law. Again, what Fallin has proposed is not a new idea, but it is a bold step for a state that once adopted so-called "tough on crime" policies. These policies eventually saw diminishing returns and posed a risk to citizens because many of those who had been incarcerated were not necessarily rehabilitated and eventually became repeat offenders. Oklahoma is changing course and getting smart on crime with these reforms, and it will pay divided, as so many other conservative states have shown.